Let your imagination and sense of style shine with our wide range of materials, size options, and printing effects. Classic and modern all at once, single canvas prints let the subject of the photo shine, focussing all eyes right where you want them. Perfect for wedding photos, family portraits, or any other photo with a single subject that fills and dominates the frame. Whether a single large panel for maximum Wow Factor, or a collection of smaller canvas prints for an artistic arrangement, a single print brings a clean, efficient energy to the wall. Have a wide-angle or panoramic image or a photo that deserves the star treatment? Split the image instead of shrinking it. Don't be constrained by the borders of your canvas prints. Whether it's a wide shot of a family reunion, a panoramic shot of your favourite holiday beach scene, or an action shot documenting your teenager’s cannonball into the pool, splitting a scene across several canvas panels makes for a powerful feature in your room. A great photo isn't the end of your creative vision. How you arrange your photos adds to the story and enriches the viewing experience. Feel free to get creative – and to steal ideas from us. A collection of photos centred on a theme or taken from a specific event looks stunning when printed on canvas and arranged in a cool, modern layout on the wall. Displays can be a fun and unexpected way to not only decorate a room, but also to document your life and adventures. 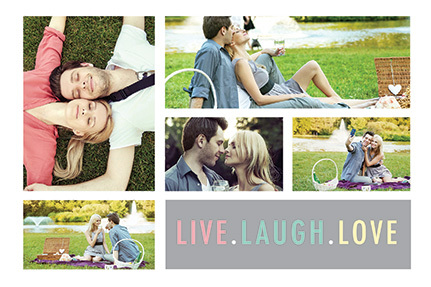 Our newest creative innovation – the photo collage! You supply the memories, and we'll provide the layouts. A collage is a fun and exciting way to combine photos linked by theme, event, or any other connection (family, hobbies, design aesthetic). We make it super easy – simply choose a predefined layout option, upload the recommended number of photos, arrange them as desired, and leave us to turn your creation into a canvas masterpiece. Stuck for ideas? Have a vision for your room design but can't find the perfect photo? 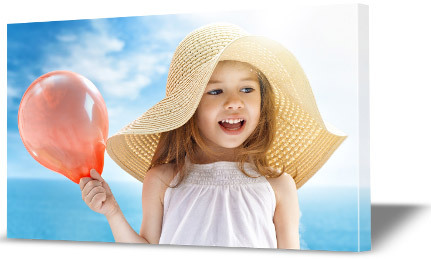 If you want something a little more artistic, our ready-made canvas prints are the perfect solution. Whatever your colour palette, whatever your design style, and whatever room you're decorating, our range of carefully selected photos, paintings, and other images can fill the need. Just browse at your leisure and make your selections, and we'll ship awesome canvas art direct to your door.